Today we got invited by the friendly people at Warner Bros to get a first impression of Injustice 2. After a brief presentation from the developer in which he explains about various new features, we had the chance to try the game for ourselves and see if it is a worthy successor to the original title. Injustice 2 will see its release on the 18th of May for PlayStation 4, Xbox One and PC. 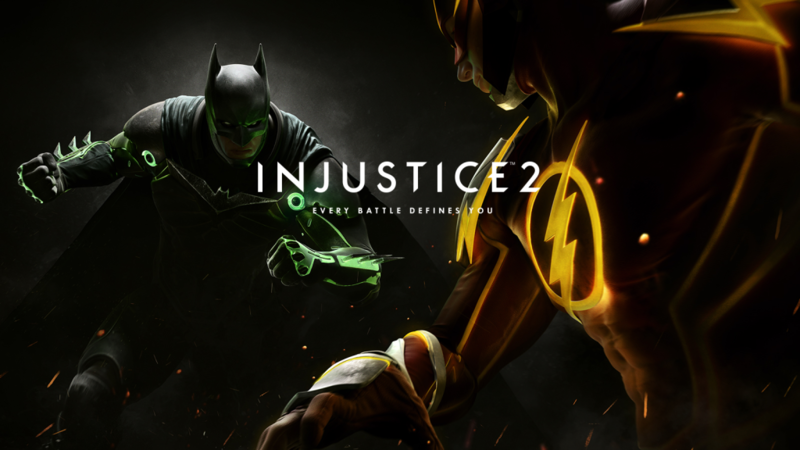 Injustice 2 is like its predecessor set in the DC universe, with various characters from different franchises such as Batman, Superman, Harley Quinn and The Flash. With such a diverse cast we have got the ideal setting for a wide and open storyline. Since there was not too much information about where the story will begin, we do know that while playing the campaign there will be an option to choose between a few characters which will affect the later events, and as a bonus you can replay the story a few times to complete all the possible combinations. With its release coming soon on current generation consoles and PC we can say that the graphics are mouthwatering good. This proves that Injustice 2 utilizes the best of this generation’s power without causing interference with the gameplay. So the visuals are truly astonishing as the cast is worked out in the most finest of details. One of the most important aspects in a fighter game is the scenery since this is the place where you will be spending most of your time. The backdrops are made beautifully and are very alive and dynamic when interacting or smashing your opponent through it. To give the game more charm each figure is very talkative and will react to each other in their own unique way. If the characters have a relationship (albeit good or bad) they will act as in their respective story, while others give a more generic yet correct answer, this makes the whole feel more organic and real. During combat the right sound effects are in place, this lets the game feel right a real solid fighter and not an over cartoony thing. As a fighting game it feels like a mix between the first Injustice and Mortal Kombat X. These titles belong to Warner Bros and they did the right thing incorporating both into Injustice 2. This means that if you played one of these games you can find a lot of similarities such as the same button combinations and combos. For someone who is new to the game it is easy to pick up and play. 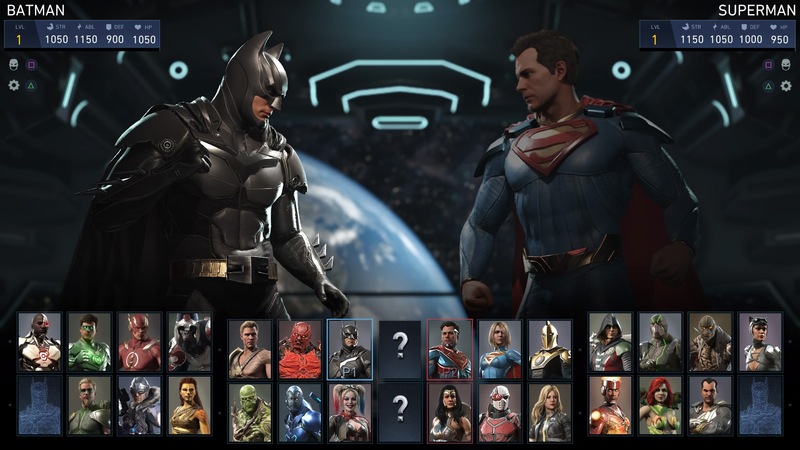 You fight as a wide range of DC universe heroes and supervillains each having their unique moves and combos. Every character is now fully customizable with many clothing pieces each having special attributes and can even give added bonuses. This will also alter the appearance slightly and will allow for building your fighters to a more personal taste. 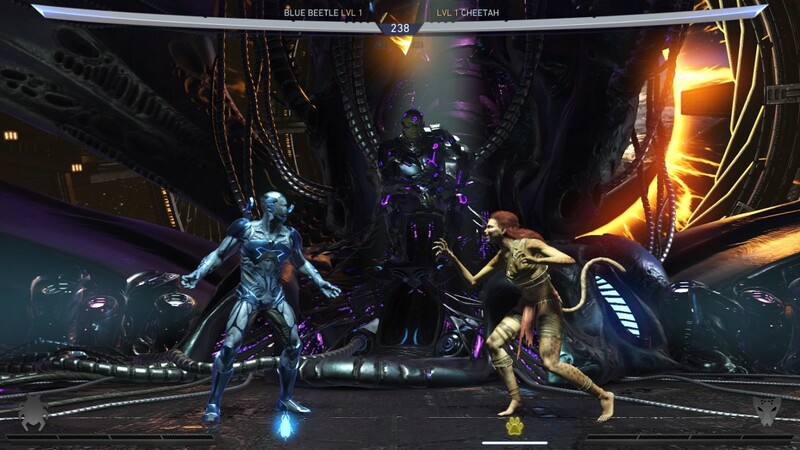 There are a few cool new features in Injustice 2, starting off with the personal item per character: this item is usable during the fight and can help you in diverse situations, from chaining a combo, to making your moves more powerful or simply for the purpose of annoying your opponent. Next are the challenge planets where you can complete a wide set of scenarios that switch out every few hours and by playing and completing in these challenges you can win item boxes and equipment pieces. Item boxes are like care packages that contain some equipment and these can only be bought with in-game cash. No micro-transactions or payments, only hard earned coins are allowed. With the various fun and new additions and a promise to a lengthy storyline it is noticeable that Warner Bros has set the bar high for quality in each sector of Injustice 2. 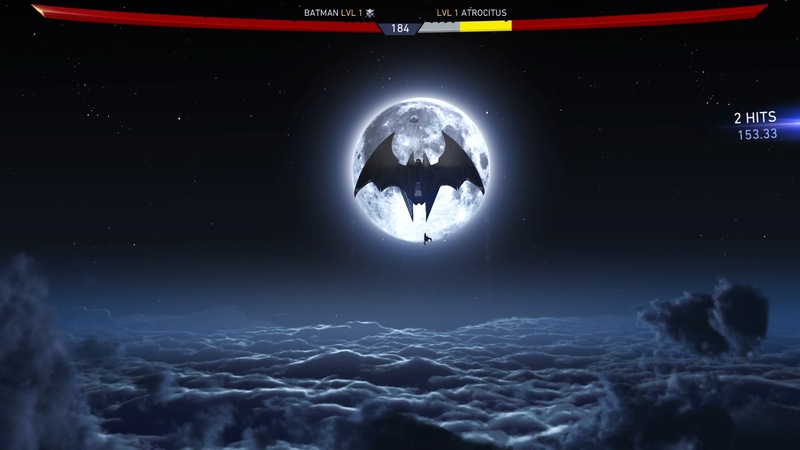 The gameplay may be similar to the previous game, as well as the Mortal Kombat series, it allows players to pick up the game in a matter of minutes before finding themselves in a very familiar situation. There are a lot of collectibles to acquire and each character can be fully customized granting the game something for everyone to enjoy. We are looking forward to seeing the game in all its completed glory.